Hi Everyone! 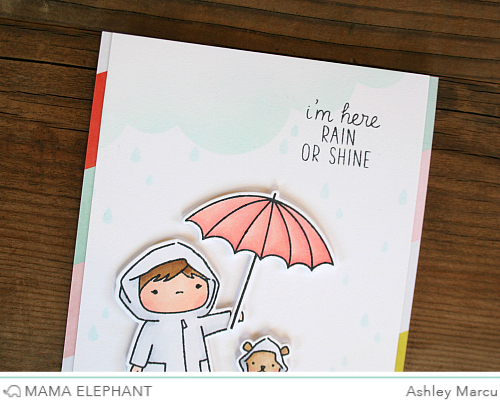 Ashley here sharing the new stamp set Chance of Rain! 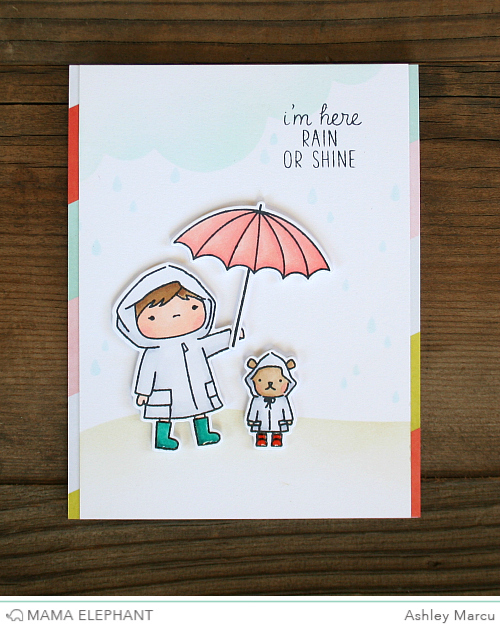 This set is super adorable with fun images and sentiments that perfectly match! I created a scene with the child sheltering her little teddy bear. I colored the boots in bright colors and kept the raincoats neutral so that the boots would pop. The umbrella was also colored a fun bright color. I wanted to add a background to the card but kept it soft so the child and bear wouldn't be lost. To do this I lightly inked the cloud using a mask I created with Landscape Trio. Raindrops from Chance of Rain where added using the same ink color. I added the ground using the same technique but with a different die from Landscape Trio. The final step was to add some glossy accents to the boots and add a little bit of coordinating patterned paper. This is so cute! I love the soft background and the bright boots are adorable!!! Very sweet - I love all the white space, then just pops of color! 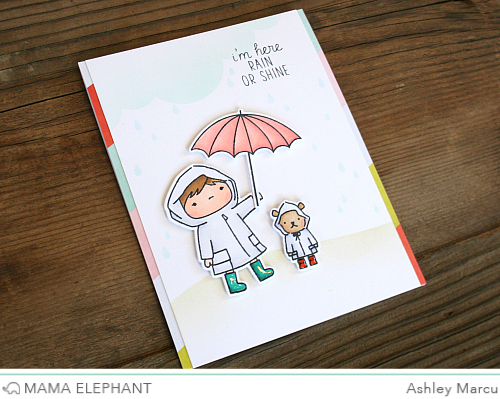 Your card is so cute, and that bear in the raincoat is just adorable!! !